Fermentation Support Forum • View topic - De-hulling nightmare: Best way? I have to find a solution in regards to the de-hulling of the beans (Red Kidney Beans), as this process takes several hours (and I even let a blender do the de-hulling with a dough-blade). Have anyone tried leaving the hulls in the batch? Or have another great idea? I consider using Lima Beans as they are huge and have a lesser ratio of hulls. Experience anyone? Re: De-hulling nightmare: Best way? This is how I dehull soy beans. 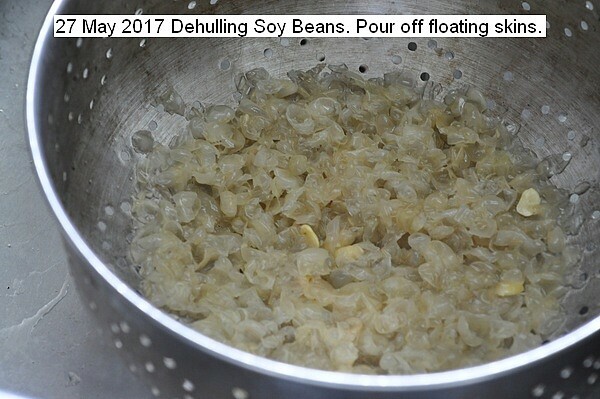 The first operation in making tempeh is to dehull and split the soy beans. Soy beans dry are 500 ml which swells to 1 liter when boiled. The beans are washed, covered in water and vigorously boiled for 30 minutes. Water is then poured off and the pot filled with cold water. The beans are then manipulated with the hands to remove the skins and to split the beans. The floating skins are then poured off. 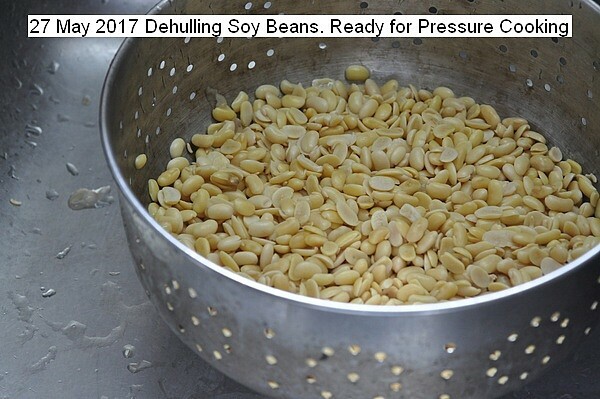 This operation is repeated about five times and the result is a liter of perfect split dehulled beans ready for pressure cooking. This operation is not onerous and takes about ten minutes. This method eliminates soaking of the beans. Last edited by Durgan on Tue Jan 29, 2019 5:53 pm, edited 1 time in total. If you have enough beans, one reasonably fast way is to soak, or soak and pre-boil, then stomp the beans in a bucket or a tub with bare feet. As far as I know, that's the traditional way in Indonesia too. Of course, after the dehulling you should do a proper boil, which ..should be enough to kill out enough microbes for a healthy fermentation. I'm still a beginner and have yet to try this method. Another way you can do is to crack the dry beans and not dehull at all.